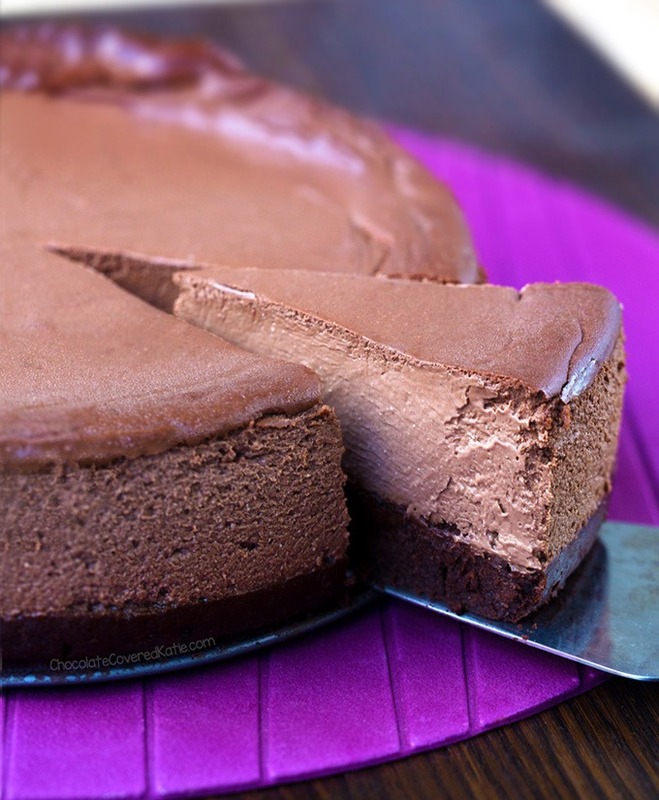 Brownie Cheesecake - The BEST Recipe! Velvety chocolate cheesecake blankets a rich and fudgy brownie crust, in this absolutely show-stopping chocolate brownie cheesecake recipe. This brownie cheesecake is YOUR cheesecake. 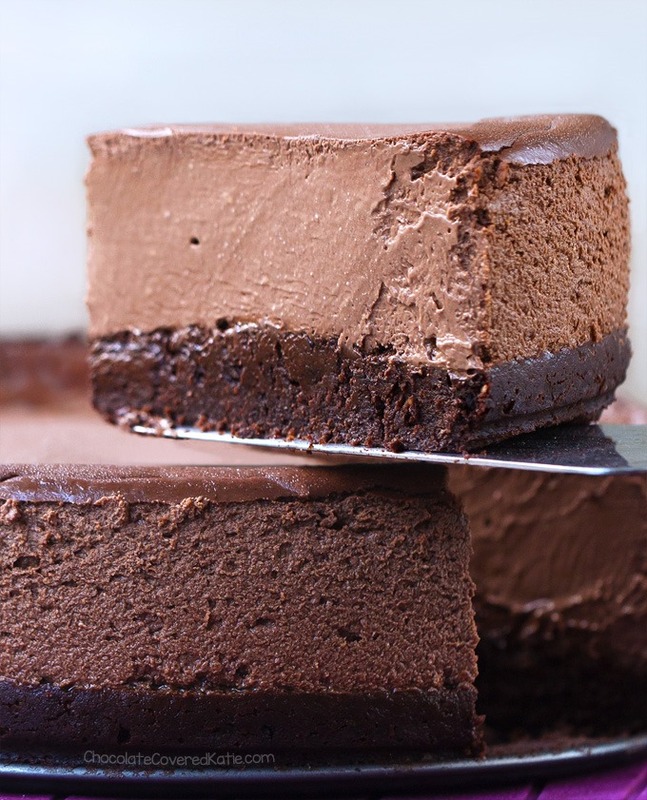 If your two favorite desserts in the world happen to be brownies and cheesecake like mine are, this decadently dark chocolate brownie cheesecake recipe is pretty much the best dessert you could ever make, because it solves the problem of being forced to choose one over the other. Now there is no need to choose at all – you can have both. 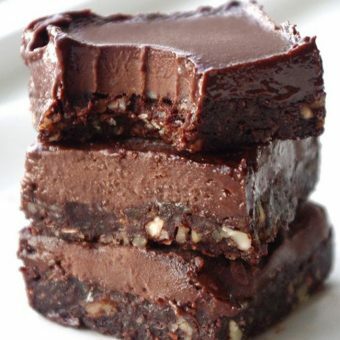 Also, if you want more brownies, here are OVER 50 Healthy Brownie Recipes. One can never have too many brownies. This chocolate cheesecake looks fancy, but it’s deceptively simple to make. 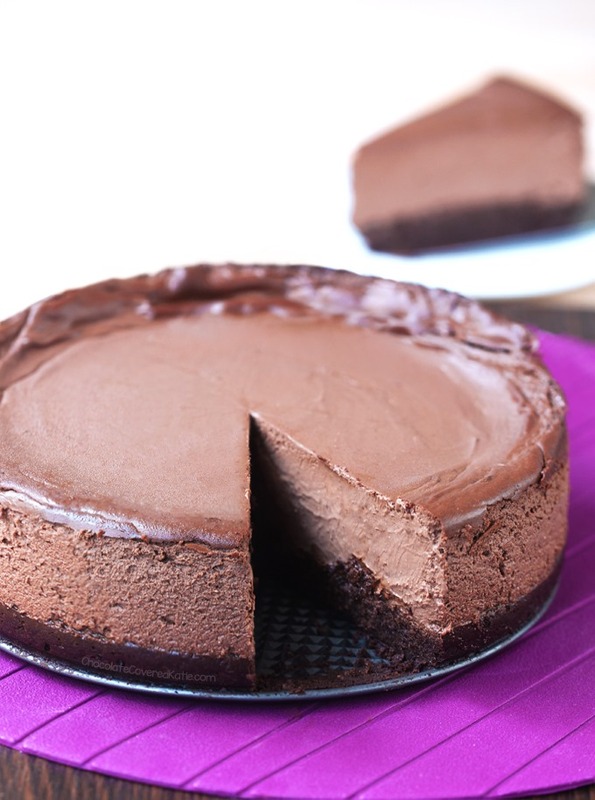 And if you’re short on time, you can easily skip the brownie crust for a plain chocolate cheesecake that comes together in just minutes. I used my go-to vegan brownie recipe for the base, but if you have a favorite brownie recipe, feel free to use it instead. Just remember to undercook the brownie layer, because you’ll be baking it a second time when you bake the cheesecake. I bet my Black Bean Brownies recipe would be amazing here. The flax or cornstarch in the recipe is optional because I accidentally forgot it the second time I made the cheesecake (yes, I make baking mistakes too! ), and surprisingly I didn’t notice a difference. The brownie bottom still held together as if I hadn’t forgotten the binder ingredient – so I marked it as optional. Side note: If you don’t have an oven, try this recipe for No Bake Chocolate Pie. Also, because I really love you, I made you a video. Or maybe I made the video because I wanted an excuse to make this cheesecake again. Whisk together the first 3 ingredients, then set aside. Preheat oven to 350F. Grease a 9-inch springform pan, and set aside. In a large mixing bowl, thoroughly combine all remaining ingredients. Pour wet into dry, stir to combine, and pour into prepared pan. Smooth down. Bake 12 minutes. Preheat oven to 350 F. Fill a 9×13 pan about halfway with water and place it on your oven’s lower rack. Bring cream cheese to room temperature. 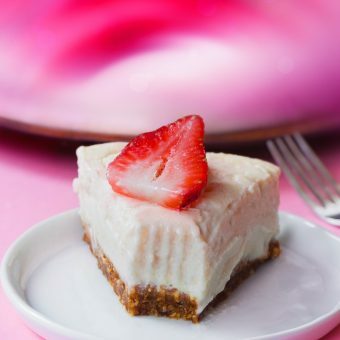 In a blender or food processor, beat all cheesecake ingredients just until smooth. (Don’t overbeat, as this would introduce air bubbles that could burst in the oven and thus cause cracking.) Smooth into the 9-inch springform pan with the baked brownies. Place on the middle rack above the other pan. Bake 30 minutes, and do not open the oven during this time. When the time is up, leave oven door closed and turn off heat. Leave in the closed oven an additional 5 minutes. Then remove—it will look underdone—and let cool 20 minutes before placing the still-underdone cheesecake in the fridge. Chill at least 6 hours, during which time it will firm up. Leftovers covered in the fridge will last around 3-4 days. 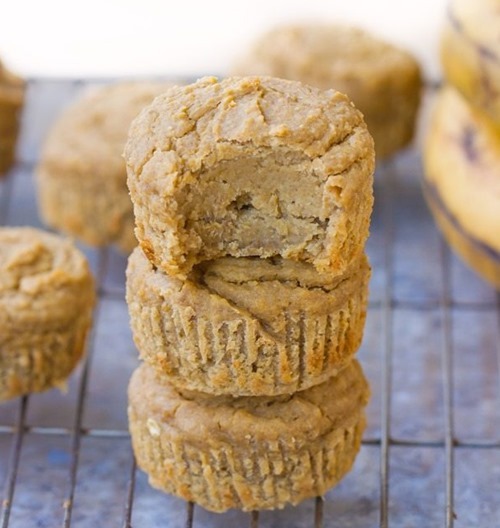 I am beyond excited about this recipe because I remember you mentioning it in a much older post! two of my FAVORITE things combined in one? awesome!! This is genius! Can’t wait to give it a try for our next special occasion! is there any substitutes for the vegan cream cheese and yogurt? Will coconut cream work for the yogurt? 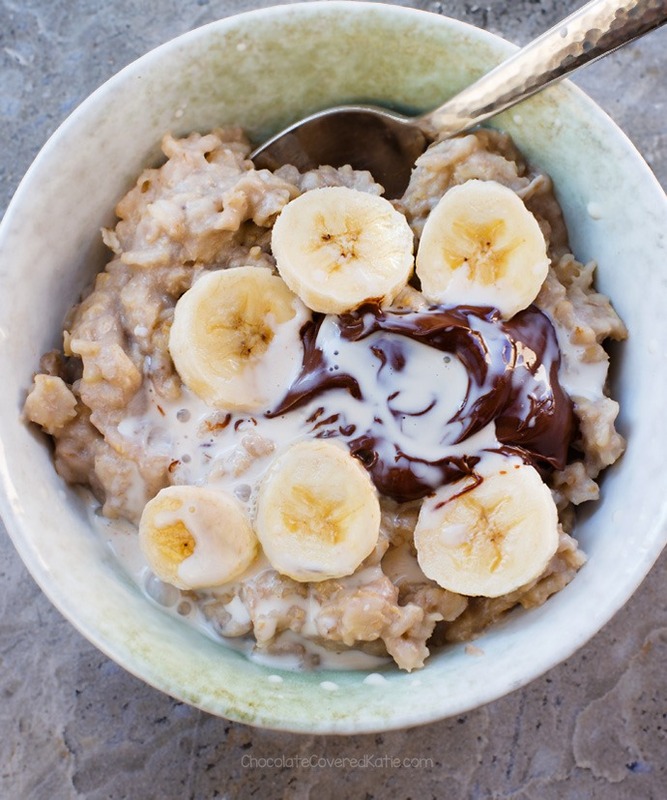 Coconut cream would definitely work for the yogurt! Why have I not thought of this before?!? Now, it’s making me think about trying a chocolate chip cookie bottom! This looks incredible! I need this in my life asap! 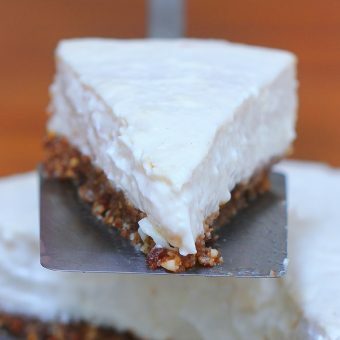 Do you think you could substitute Greek yogurt and regular cream cheese for the nondairy ones? I’m really looking forward to a cheesecake recipe made without store-bought cream cheese, but only from scratch. Preferably not coconut-cream based because, well, that’s not so healthy. Um, coconut cream isn’t that bad compared to other fats out there. You can look at her cashew based cheesecake recipes. I noticed that the instructions (especially baking time) in the video are not the same as the text of the recipe… Which one is correct? In the video it seems that it’s not baked after the cheese is added. Can you clarify? Hi Linda, it’s not that they’re different, just that the video stops before that step and says to go to the blog for the full recipe. Sorry for the confusion, and hope that helps clarify! Definitely always go by the recipe instructions in the actual post. 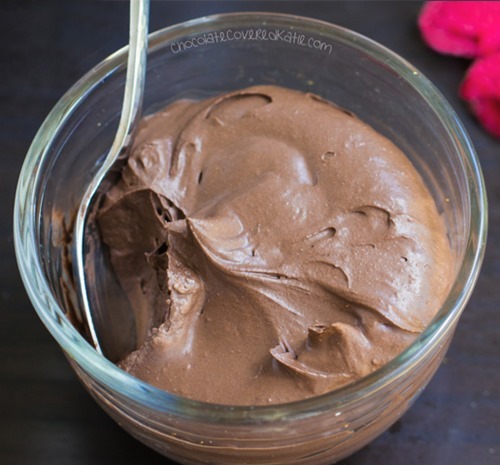 I want to sneak in gelatin in this recipe! I think it’ll make it even thicker. Think it’ll work? Wow! This is wonderful. I love all your cheesecakes, and can’t wait to try this one. Hi Katie, I need to ask a couple questions. 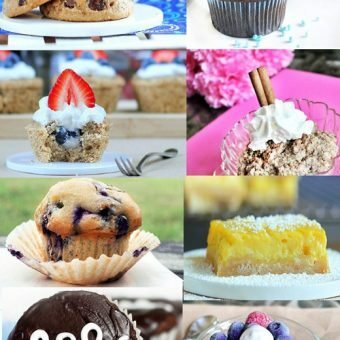 At what altitude is your baking being done? Would you adjust the baking time for very high altitudes? The reason I ask is that I made this wonderful Chocolate Brownie Cheesecake last night, all according to directions, but the brownie crust was far from a set condition to take on a thick layer of chocolate cream cheese. I also baked the cheesecake as directed, then let it set overnight. Do you know how difficult it is to not slice into it when it’s chilled?! This morning I cut a thin slice (I am on an eating plan to lose weight, you know!) and ate it for my breakfast. It was delicious! However, the crust was still in an unbaked pudding-like condition and the center of the cheesecake is also like pudding. So, if my final product is a pudding cheesecake, I’m right on track. But the properly baked potion of the whole was wonderful enough that I would like all of it to be baked and to taste like my outer portion of it. I live and bake at an altitude of 7220 feet and generally make adjustments for that. 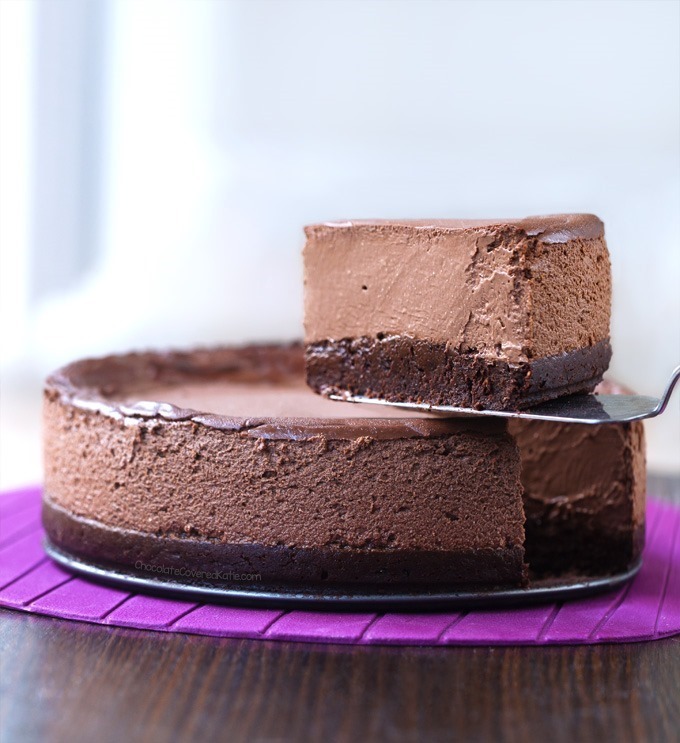 Next time I make this delicious chocolate brownie cheesecake, I will definitely bake the brownie layer a few minutes longer and I will also bake the cheesecake a few minutes longer. I’m sure my end product will be exactly what I’m dreaming of! But many, many thanks for this and other recipes! I have 2 of your cookbooks and love your ideas! Keep Baking and Cooking for all of us! Oh yes, higher altitude definitely would need changes to be made. Katie is at a low altitude. Unfortunately we don’t know much about high altitude baking, but hopefully it will work well with your changes! tHANK YOU FOR THIS QUESTION, AS WE ARE AT A HIGH.. 5,400… HIGH ALTITUDE. i DON’T UNDERSTAND WHY THERE AREN’T NOTES FOR HIGH ALTITUDE AT THE END OF ALL RECIPES, JUST AS THEY ARE ON BOX RECIPES….IT REALLY COSTS A GREAT DEAL OF MONEY THAT GETS FLUSHED DOWN THE TOILET!! I think in the video it’s already combined. Yes, you’d use both. If someone tells you that you can have too much chocolate in one day, then that person is LYING. 😉 This cheesecake looks like a chocolate lover’s dream! Personally, I would love to dig into this glorious treat any day! It turned out absolutely delicious! I used raspberry-flavored SoDelicious coconut yogurt and the raspberry and chocolate flavors went together perfectly. Even my coconut-hating friend loved it, since the coconut taste wasn’t discernible. The cake is creamy and the crust very fudgy. Just a note to other bakers: you may need to bake both the crust and the filling for longer than the recipe states, depending on your oven. I have a somewhat older oven and the crust and filling were quite soft. One of my friends thought the crust was too sweet, but the rest of us liked it and though it nicely balanced the slightly tart filling, so you may want to adjust the sugar if you hate sweet things. Also, maybe it was just me, but the recipe made a HUGE cake! It was probably about 4-4.5 inches high and still 9 inches in diameter. We only finished half, so I froze the rest (no complaints there)! This recipe was really good taste wise and the yogurt was on point. I used silk tofu before and that was pretty good as well. The only issue i had was the brownie did not cook at all in the 12 minutes and when i put the cheesecake mix on top it just got pushed to the sides. I guess i need to leave it in longer? also i read the altitude comment. im at very near sea level.